The Ride Janie Ride Foundation would like to introduce to you three very special people. We have been blessed to meet Kataryna Lantgen, Logan Lavery and Samantha Wildeboer. Kataryna, Logan and Samantha have been diagnosed with Acute Lymphoblastic Leukemia. It is our honor to have them as part of the Ride Janie Ride family and we take great pride in announcing that Kataryna, Logan and Samantha will be the recipients for Ride Janie Ride 2009. Continue scrolling to read each of their biographies. Ride Janie Ride Foundation would like to thank all of those who nominated individuals. We will not forget any of the nominees and hope that they may be a part of Ride Janie Ride for 2010. Kataryna Jade Lantgen is a wildly outgoing, energetic 6 year old girl. 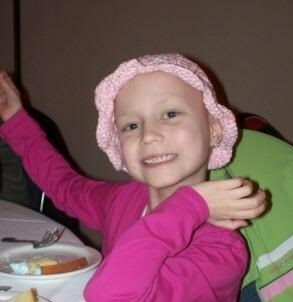 On June 9th, 2008 she was diagnosed with Type B Acute Lymphoblastic Leukemia. After a rough November and December, which included 6 inpatient stays over Thanksgiving, Christmas and New Year's, she is enjoying a much better January and February 2009. She has since regained her energy and infectious personality. She is looking forward to her 7th birthday on March 14th which she shares with her twin sister Claudia. She is also looking forward to returning to Tee Ball since her season was cut a few weeks short upon her diagnosis last season. Other than her treatment and inpatient interruptions, she is enjoying school as usual. She thoroughly enjoys her hospital visits because she has made so many friends between other patients, the nurses or the doctors. We have been very fortunate to have the extended support group of family, friends, her school and her hospital. They have all made this a little easier to deal with. Kataryna has also made it easy on all of us by taking her treatments, visits and inpatient stays all in stride. At each obstacle she just puts her head down and bores right through it and comes out smiling each time. For a little girl, she is about as tough as they come. Logan Connor Lavery is one of twelve children that my husband and I have been blessed with. He loves to go outside to play soccer or baseball with his brothers. He also loves Scooby Doo and Pluto. He is a sweet little boy who makes friends easily and his best friend is our neighbor Sharon. 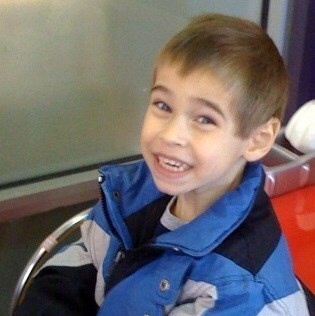 He was diagnosed with Acute Lymphoblastic Leukemia a week before his 4th birthday in December of 2008. He is considered a slow responder and because of that he will be on a more intensive and longer treatment schedule. The first month was hard not knowing what to expect, being on steroids he now has some cute nicknames "chickmunk", "angry elf", and "sweetcheeks". He did not walk for 7 weeks because of the pain. But, now with some physical therapy he is up waddling around the house. He is currently being treated at the University of Chicago Hospital and they have been extremely wonderful to us. This is just the beginning of a long journey our family has been chosen to take with Logan. I hope to make something good come out of this as Logan is truly a gift from God. Hi, my name is Samantha Wildeboer. 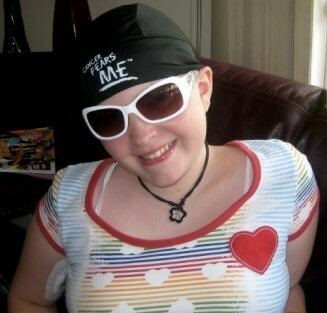 I am 14 years old and was diagnosed with ALL Leukemia on June 16, 2008. I graduated eighth grade just the week before my diagnosis and my 14th birthday was 11 days after my diagnosis. I love to play softball, speedskate, play soccer and I acted in many musicals in our local theatre. I love being with my friends, they are awesome and have supported me through these tough months of treatment. I started my freshman year in February 2009 and my friends made me feel so loved and welcome as they all mobbed and tackled me when they saw me! I am anxious to start feeling better to get back into all my regular activities. With the continued help and support of all my family, friends, doctors and nurses, I know I will be healthy and strong in no time!